Join in and share, learn and grow our community. 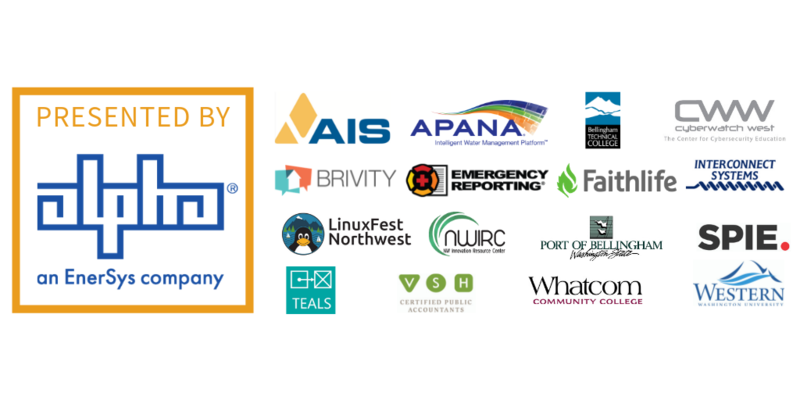 We’re excited that this year’s TAG Expo + Job Fair will be a joint event with LinuxFest Northwest! Registration is FREE! Exhibitor tables + event sponsorships are still available! This annual event is all about getting together, having fun, and raising money for student scholarships! Tickets Available Now Donate to Scholarships! Join us on Wednesday, April 24 at 12pm at the Woods Coffee Meeting Room to meet other women working in technology! This month’s meeting will be will be about using technology to create life-work integration. One of the most common struggles is the concept of work-life balance. Can balance really exist? Can technology help us have a life outside of work while still being a great empoyee or leader? What are the good and bad sides of always being connected? Established in 2000, LinuxFest Northwest is an annual Open Source event co-produced by Bellingham Linux Users Group and the Information Technology Department at BTC and features presentations and exhibits on free and open source topics, as well as Linux distributions and applications, InfoSec, and privacy – something for everyone from the novice to the professional! This month’s TAG Lunch & Learn is a collaboration with our community partner, NWIRC, as we livestream their April tech talk from TheLab@everett. The Internet of Things opens up new ways to interact with our surroundings. It also presents a whole new level of security risks. Both offer up new industry opportunities. Increasingly the things we use in our everyday life and work are embedded with software to allow for a level of connectivity previously only imagined. Today, advancements in technology will finally make connected computers ubiquitous. It also increases our need to secure the information and capture the data we send over the internet. Edge computing seeks to decentralize the way our data and network operations are sent and stored, preferring to move toward personal and individual endpoints. Join us for on Tuesday, April 30 at 12pm for the livestream of Jacob Sullivan‘s presentation on IoT and edge computing followed by a local conversation with your fellow TAG Community peers. Jacob Sullivan is an entrepreneur experienced in founding and maturing technology startups, driving customer-centric technology products from concept to launch, and building strategic partnerships to support business growth and competitive advantage. He is the Co-Founder of Magic AI Corp where he led development of its leading product StableGuard. bellingham.codes next monthly meeting is on Thursday, May 2 at Bellingham Makerspace at 6:30pm. bellingham.codes is a social group dedicated to growing the local developer community. BLUG’s next monthly meeting is on Thursday, May 2 at Bellingham Technical College in Campus Center CC201. Sustainable Connections announces the first ever Solarize For Smart Business! Three workshops will be held in May and June to help businesses lower their utility bills and green their energy use. Limited time tax credits and grants are available for businesses in Whatcom and Skagit counties and Sustainable Connections is working with two of the best local solar installers to offer low competitive pricing for this special event. Learn about incentives, grants, financing, and payback periods to help you save big. Regardless of if you own or rent your building, receive free assistance to streamline the process and take advantage of these limited time opportunities. Join Sustainable Connections for a free lunch to learn about the benefits of energy efficiency and special incentives available for your business. Whatcom IT Professionals (WITP) will hold its sixth meeting on Friday, May 3 from 6pm to 8pm at Plain English Technology Services. WITP is a group geared toward local business IT professionals to grow, share and explore the technical side of the business while maintaining a social atmosphere between established and new people of the industry. Topics will range from Networking, Servers, Documentation, Programming, Web Development and Customer Relations. Other minor topics may include trending IT related news within the industry. Plain English Technology Services is WITP’s primary sponsor. GEMS Academy will be held on Saturday, May 4, 2019 from 10am-4pm. Western Youth Programs designed this program to bring 5th – 8th grade girls to campus for an interactive experience in different STEAM (Science, Technology, Engineering, Art, and Math) fields. Over the last couple of years over 75 girls have been hosted each year in a safe and empowering environment for girls to explore STEM fields with Westerns students, faculty, professionals and other girls that share those interests. Step right up and explore science, technology, engineering and math (STEM) at Whatcom Community College’s STEM Carnival on Thursday, May 9 from 3-6 p.m. Families, children, teens, and adults are invited to this free and fun event which features interactive demonstrations led by WCC faculty and students. Hands-on activities and games will include generating power with a stationary bike, exploring artificial intelligence, identifying animal skulls, making slime, and experimenting with electric currents and magnetic fields. Activities are meant for all ages. Attendees can also learn about WCC’s STEM programs and degree options. Food and prizes will be provided. Parking at WCC is free. Meet, share ideas, experiences, project, and code for Arduino-based electronics. TAG MEMBER EVENT – TICKETS ON SALE SOON! This year TAG is partnering with the Bellingham Regional Chamber of Commerce to give you the chance to get an inside look at some of the most successful and interesting tech manufacturing businesses in Whatcom County. The second event in this quarterly tech tour series will be at Superfeet in Ferndale on Wednesday, May 15. This is a TAG Member event. Not a member? Become one today! Sparked by the simple idea that people deserve something better, today Superfeet continues to push the principles of podiatric science by combining innovative materials with cutting-edge technologies to help customers get the most out of every step. The US Commercial Service has launched a set of resources directed at helping companies to globalize – and better optimize – their websites for global eCommerce. This 2-hour, in-person presentation program aims to bring awareness to Washington State businesses regarding the impact a less-than-optimal website could have on their ability to attract overseas customers, and to provide information and suggested resources for optimizing your internet presence. 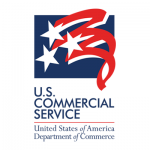 The U.S. Commercial Service is the trade promotion arm of the US Department of Commerce’s International Trade Administration with trade professionals in over 100 US cities and in more than 75 countries help US companies get started in exporting or increase sales to new global markets. To find out more visit www.export.gov. Accessibility Camp Seattle is a mostly free participant-driven unconference where sessions are proposed and decided upon by the group in person with discussions, informal talks, and demos about accessibility and inclusive design in an effort to share knowledge and learn together. One of the organizers of this event is Bellingham local, Marcy Sutton, who is also the organizer of NW Tech Women. Whatcom Community College is once again offering its popular GenCyber camps for middle and high school students who want to explore cybersecurity, a rapidly growing, high demand field in the US and worldwide. Participants will learn through hands-on computer activities how cybersecurity professionals help protect information and information systems from unauthorized access, misuse, and destruction. 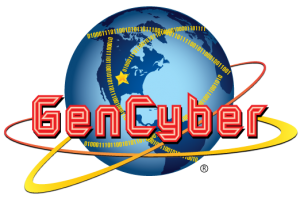 The GenCyber camps are offered at no cost to participants. Funding is provided jointly by the National Security Agency and the National Science Foundation through GenCyber grant. Applications are due to WCC by May 31, 2019.